It is funny how we characterize ourselves and then we live up to those characterizations. My husband, the therapist, would say “you just have to re-frame yourself”. Well, easier said than done. I characterize myself as a non-reader. Ok, I know how to read, but I just don’t spend much time doing it, even though I enjoy it. Jimmy Nelson is a photographer. At a young age he started taking photographs and was soon recognized as a photojournalist and commissioned to cover a variety of themes, ranging from the Russian involvement in Afghanistan and the ongoing strife between India and Pakistan in Kashmir to the beginning of the war in former Yugoslavia. In 2009 Nelson started to work on his biggest project to-date, Before they Pass Away. He travelled for 3 years and photographed more than 35 indigenous tribes around the world in Europe, Asia, Africa, South America, and the South Pacific, using a 50-year-old 4x5in camera. He talks, in this video, about his observation that he needed to know the people he was shooting in order to capture the shot and that when he got to know these unique people he realized that they are no different than the rest of us. I was surprised at the intricate adornments of some of these tribes and how people had to gather, sew and braid for hundreds of hours to make some of these pieces. 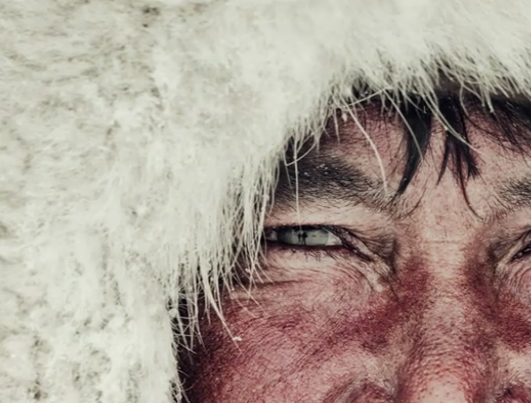 Jimmy Nelson has been criticized for not accurately portraying the people he is photographing. Some of the criticism is about the words he uses to characterize them and some of the criticism is around the attire and historic accuracy. My opinion is that the criticism is misplaced. We don’t need a photograph to be historically accurate in order to appreciate these indigenous people. And what is accurate anyway? Stephen Corry, director of Survival International, alleges that Nelson not only presents a fictionalized portrait of tribal people, but more importantly that he glosses over the violence to which many of the tribes pictured are being subjected and fails to mention, that many minority peoples, especially tribal ones, are not “disappearing” but that they are being destroyed through illegal theft of their land and resources. it was never meant to be reportage, but an “aesthetic, romantic, subjective, iconographic representation of people who are normally represented in a very patronising and demeaning way.